And it’s so tempting to think that the snows and hard freezes are over till next winter. 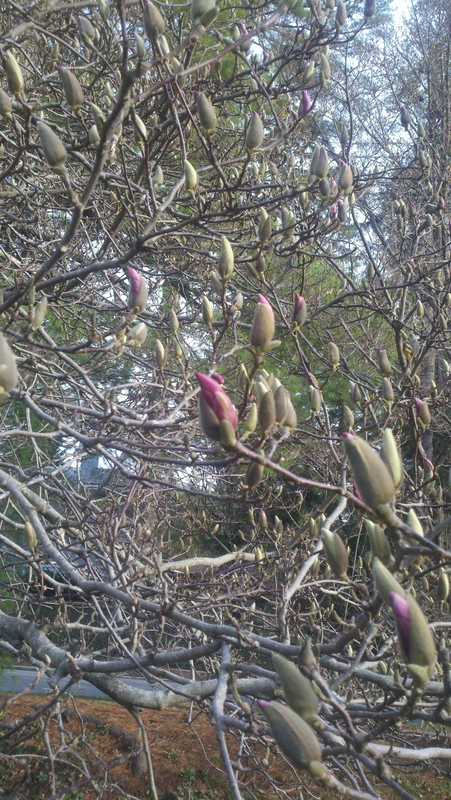 There’s no reason not to be excited though, it’s just the reality of springtime in the Blue Ridge. 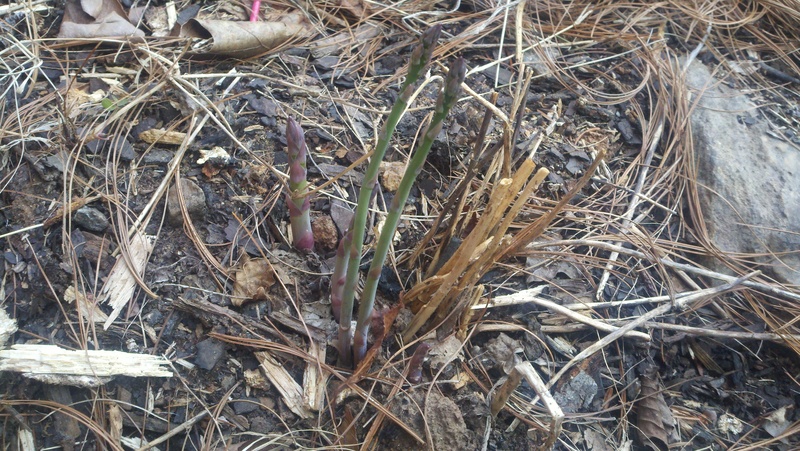 I’ve been especially happy seeing all the new things popping up around the yard, in the raised beds, and around town. When they first start to emerge just above the soil line, they are really white. My older son was worried the first time I pointed one out to him: he was sure it was one of the white grubs that keep turning up in his shovelfuls of dirt when he’s playing in the garden. (Funny, he loves slugs but is repulsed by the grubs). 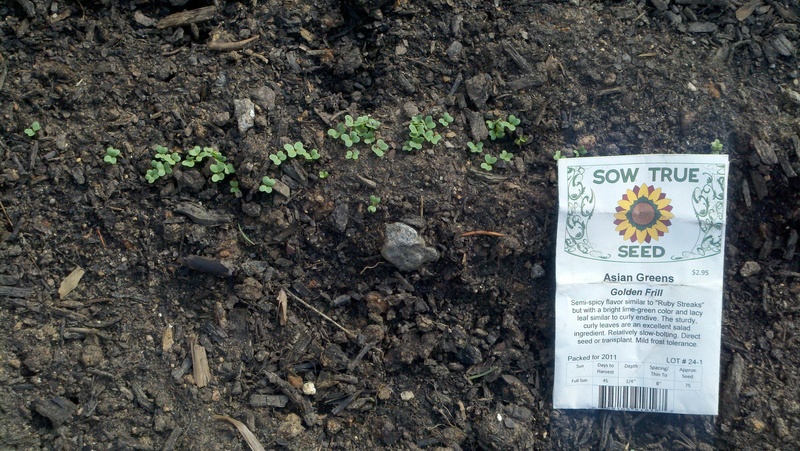 Here are some of my Sow True seeds that I planted a week ago in one of the raised beds –woo-hoo! 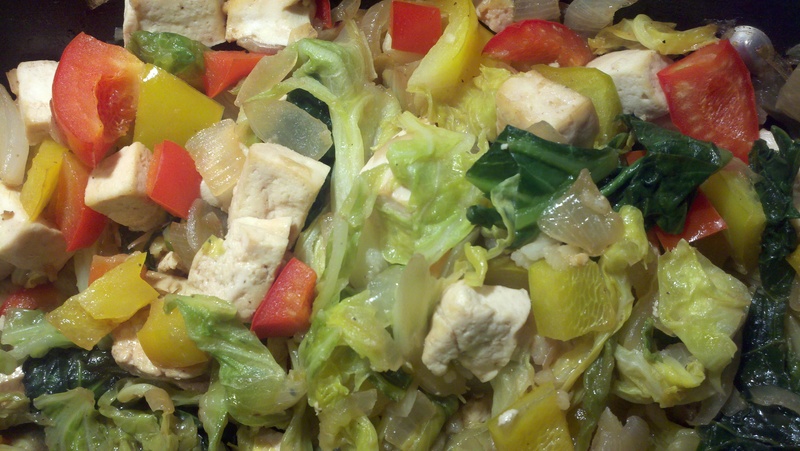 and they were the starring ingredient in this stir-fry tonight. It was nice to get them out of the garden — there’s all kinds of space that opened up for some new seeds and plants. A note about growing cabbages (and collards, broccoli, cauliflower and brussels sprouts): they take up alot of room in raised beds, even when you plant them fairly close together. The ones above each had a “footprint” about 2 feet around. 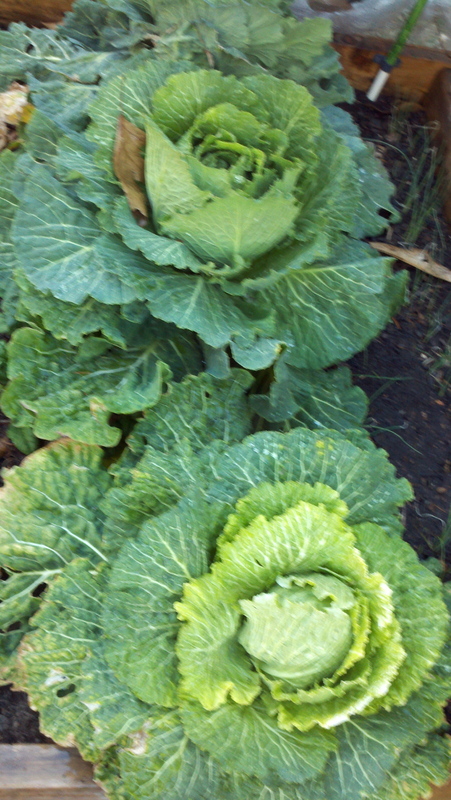 I like cabbage but there are other plants I like better that take up less room. Will have to think about that when I plant my fall garden…..
Here’s a spectacular tree that my boys and I saw on our late-afternoon walk today.